bullerengue | GLENN RED L.A.
friday july 20 | latitude x la junta! 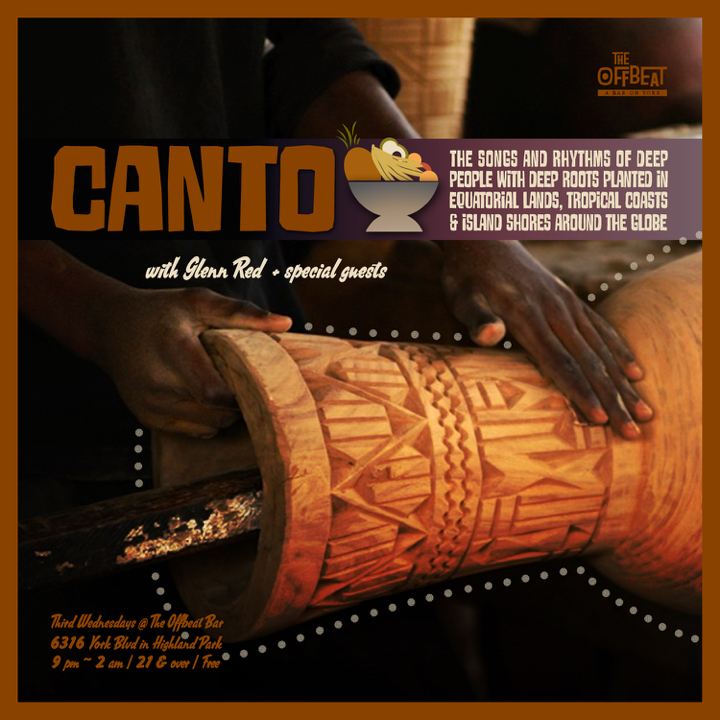 A monthly world music affair featuring the songs and rhythms of deep people with deep roots planted in equatorial lands, tropical coasts, and island shores around the globe. Join me and special guest dj/selectors as we explore and showcase music from Africa, the Caribbean, Latin America and other places within the warm middle latitudes. Expect pagode-style samba, cumbia, bomba, bullerengue, currulao, merengue, reggae, soukous, son, rumba and much more. Spent a good chunk of the morning getting some music together for some upcoming gigs in the next seven days. Not sure why, but I haven’t played this one in a while and it’s completely outrageous. Here’s the Carribean standard Josefa Matia done in the Colombian bullerengue style (yep, still that country hasn’t yet let go of my ears! )…Colombians don’t mess around with their music! Hope you love it like I do.